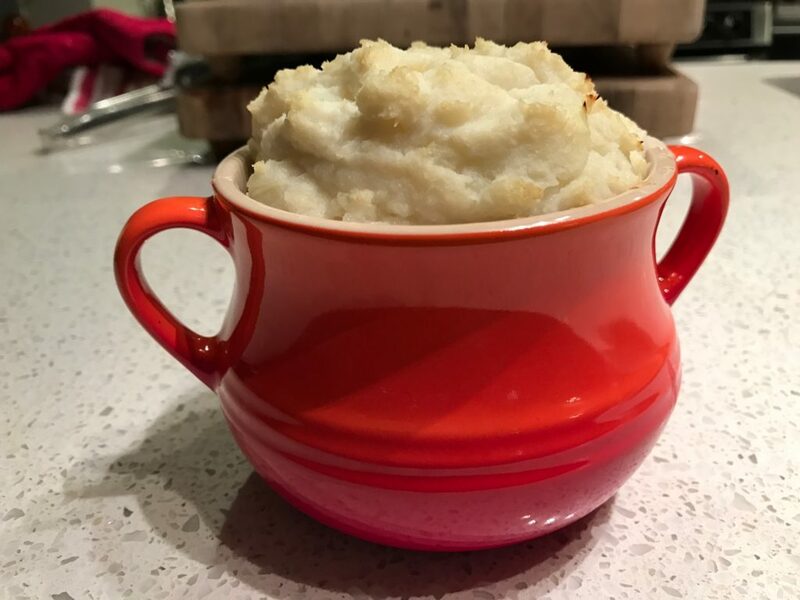 This is the simplest cauliflower mash I’ve come up with. There are only two basic ingredients! It’s perfect for the holidays, or any any cold day when you’re craving comfort food. By the way, over the holidays while you’re traveling, don’t forget to keep moving. You can start with 5 simple stretches I posted in the last video. And, you can check out the recipe section of this blog for more simple food ideas like this. 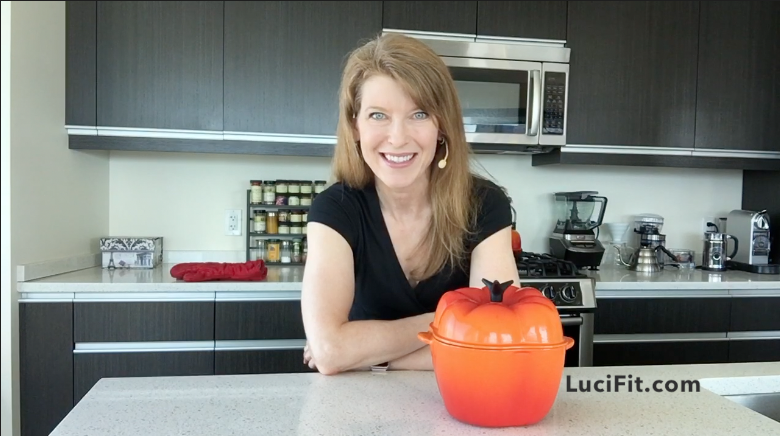 Read below or watch the video for this unbelieveably simple recipe. It’s a very low calorie dish that can take the place of mashed potatoes. Less than 200 calories for the entire recipe (see below). 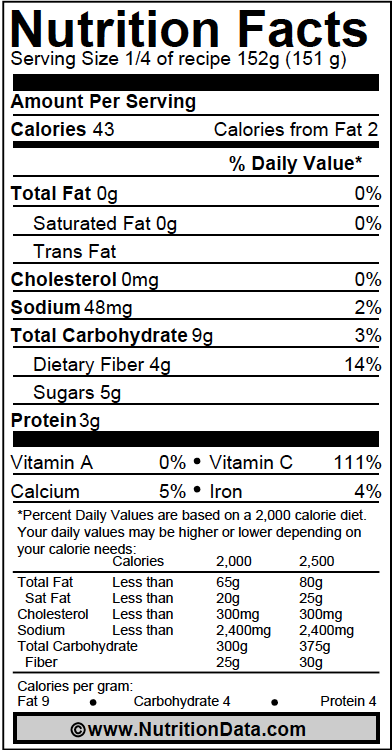 And yet, one serving has 100% of your daily requirement of Vitamin C, and 14% of your daily fiber. 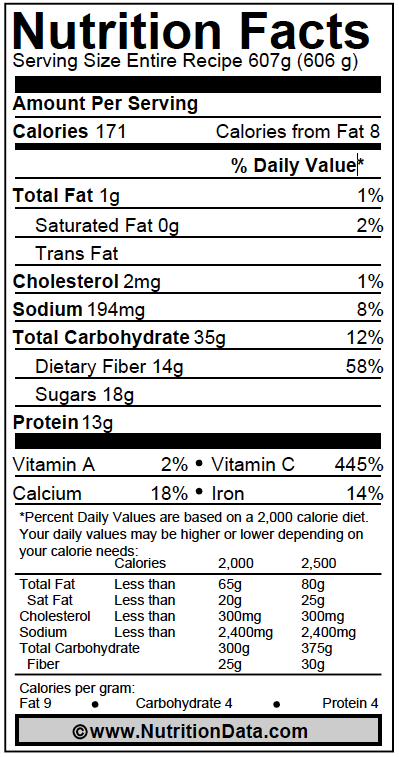 But be sure you’re getting the calories you need with other, nutrient dense foods on your plate. Start your water boiling in a steamer. Cut the Cauliflower. Chop the stem off, cut it into fours and then break it apart first because it’s easier to wash.
Wash. Put the pieces into water to soak and loosen any dirt. Then rinse. (If it’s Healthy and fresh it will be tight, not much dirt can get in there anyway). Cut it up a little smaller. (The smaller the cut the faster it cooks). Steam. Place just one layer of cauliflower in the steamer, then steam it til a knife goes through easily (7-12 minutes). You may have to do this a couple of times to cook the whole head. Blend. Place the cauliflower in a strong blender, or food processor and blend it to your desired consistency. I prefer slightly chunky. Add 2 tablespoons of Greek yogurt. If you want to add salt, pepper, garlic, or anything else now would be the time to do it. But you don’t really need it! Try it first. The most I add is a pinch of salt at the dinner table. Spoon the mash into a nice serving dish and eat it right away, or store it in the fridge for later. To reheat, put it in the oven at 350 degrees for about 10 minutes. Leave it uncovered to get a slight crust on top. You may also like my lower sugar cranberry sauce recipe.